It’s no news how smart speakers get better over the years. There’s Alexa, Google Assistant, Cortana, and Siri. With all these artificial intelligence and all the leading models of smart speakers, there’s no doubt why you landed on this article. Choosing the best wireless smart speakers isn’t an easy-peasy task. You can play music with smart speakers. Talking to them is also one of the highlights. Among all the top-rated choices, you might be asking yourself what’s the best among them. That’s why we’re here, laying down the best smart speakers based on various criteria. 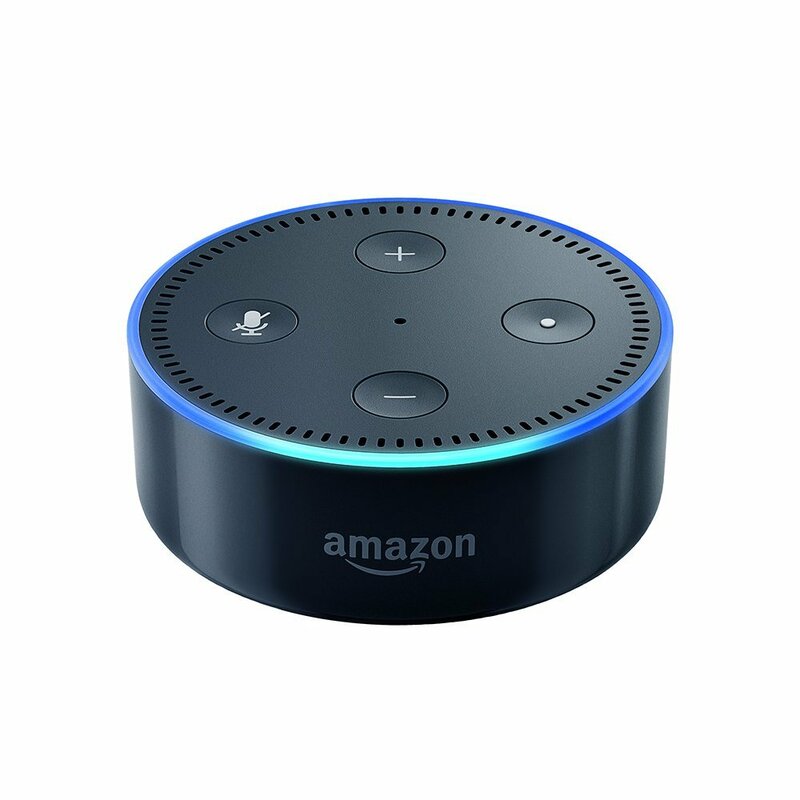 This 2nd-generation version of Amazon Echo Dot has an improved listening experience. It’s smaller and more attractive model can be yours at a more competitive price. Have your model and choose among the texture variants for its outer skin. 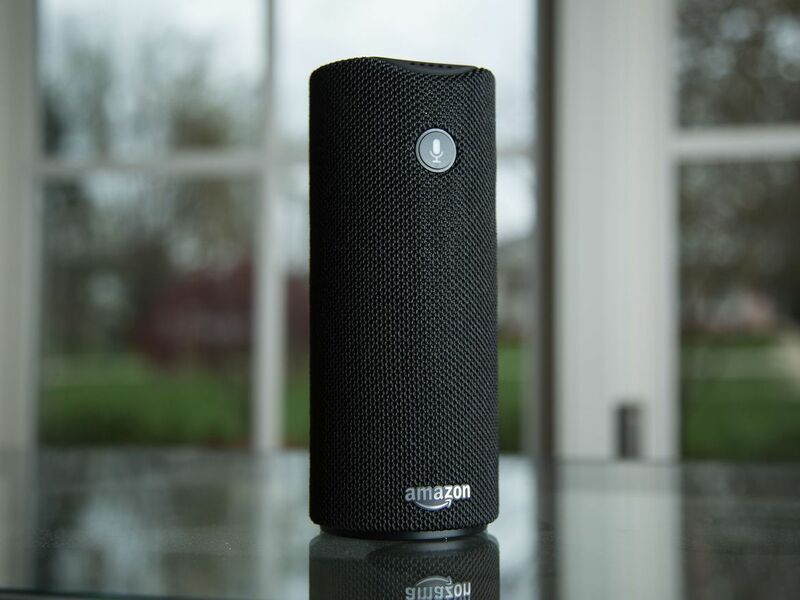 If all you want is a smart wireless speaker that gives you all, you just found it. If you’re placing your bets on the smart speaker with the best value, you can’t go wrong with choosing the Amazon Echo Dot. 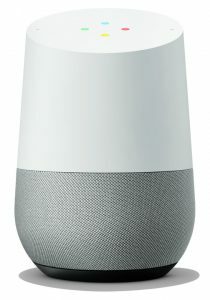 What does it mean if it’s with the ‘best value?’ It means that you get a supreme performing smart speaker at a reasonable price. With just $50, you’ll have a smart speaker that’s comparable to Alexa. No worries about having a better sounding audio performance. The Amazon Echo Dot goes with Bluetooth and a 3.5mm jack. You have the freedom to connect it with a bigger speaker. Place the Amazon Echo Dot in places where you’d most likely have Alexa. May it be the kitchen or the living room. Your choice. Are you aiming for the supreme sounding smart speaker? It must be the Sonos One that you’re missing. 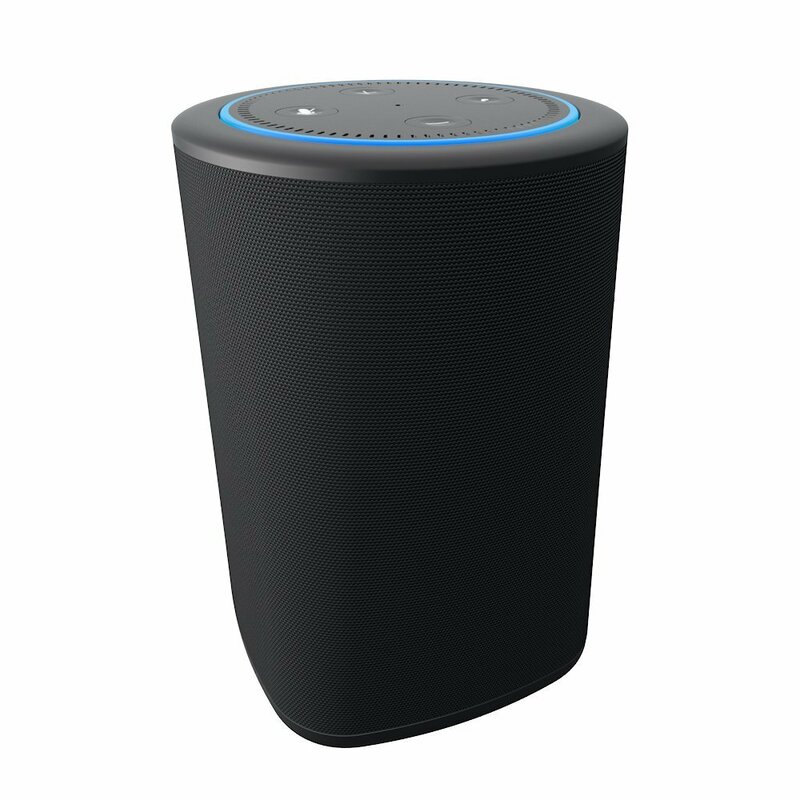 If you’re familiar with the supremacy of the Play: One in audio performance, this is its smart speaker version. Imagine the bounds Sonos One exceeds. 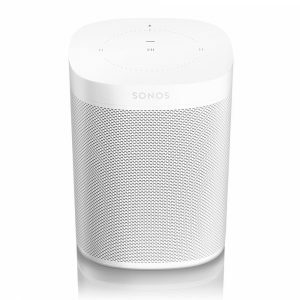 Like many other Sonos devices, you can link more Sonos devices for a whole new home audio experience. Add more bucks, and you get to enjoy your Sonos One with Spotify! Portability is also a big factor in voting for the best smart speakers. This battery-powered smart speaker reaches beyond the limits of wired smart speakers. 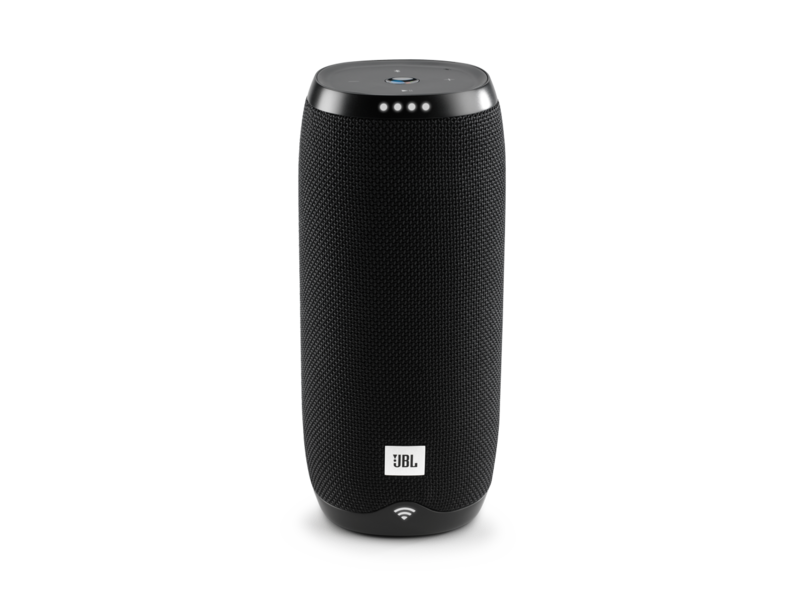 If you want to speak with the JBL Link 20 while you’re in the basement, backyard or even the attic (who knows where), you can. Have the assistance that you need wherever you’re in your home. Don’t worry about the sprinklers accidentally wetting your JBL Link 20. It’s water-resistant. Swimming in the water for 30 minutes is safe. 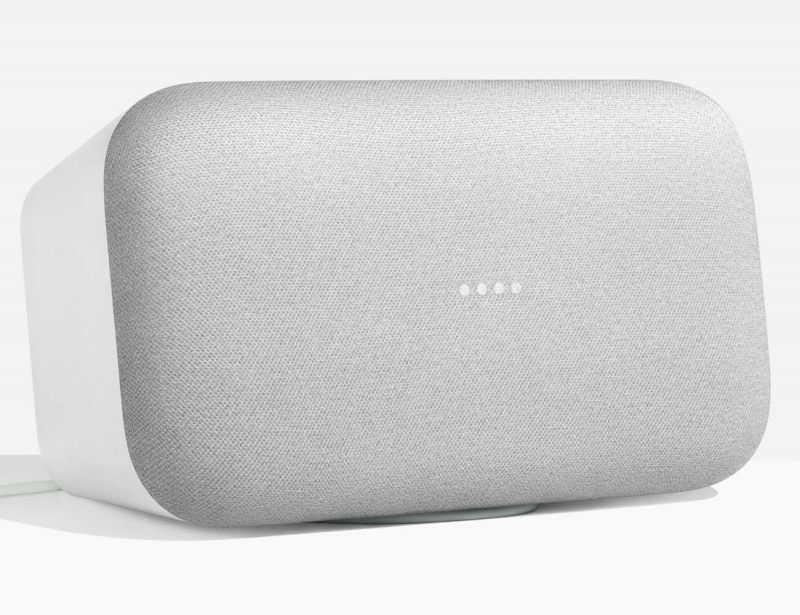 The moment Google Home entered the arena of smart speakers, its design took the market by storm. This smart speaker has been bluntly compared to a ‘vase’ or ‘air freshener.’ It may be a frank comparison, but this might have been where the strength in design comes in. The simple yet classy design of the Google Home lets it fit anywhere you want it to be. Put it on your tabletop, and it won’t clutter the space around it. It easily blends as its color is neutral. 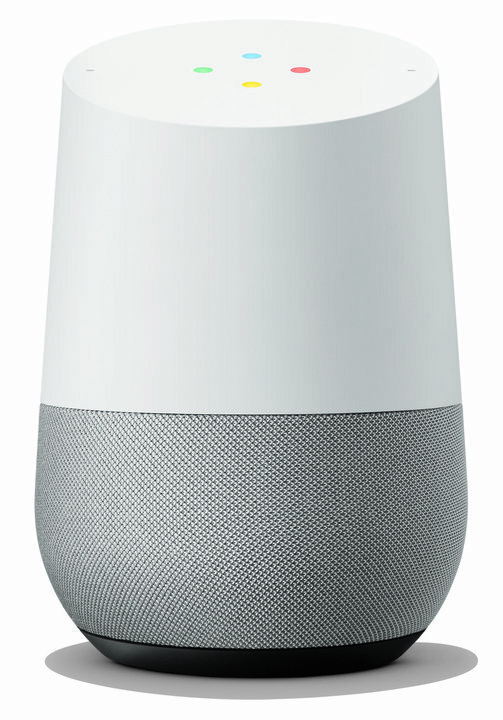 The Google Home also transcends the physical greatness as it performs better than the Echo when it comes to the audio quality. It also comes cheaper than the Echo. You may also control over Chromecast-enabled devices like the TVs. Its strong competitor, Alexa can’t do it. Apple’s ace player on this competition of smart speakers also performs well with its audio quality. All thanks to its beamforming technology, this smart speaker does well in adjusting its audio according to the space it’s in. Siri doesn’t do well compared to its ever smart competitors, Google Assistant and Alexa, but it sure deserves a spot on this list. 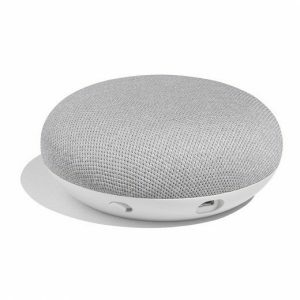 When it comes to going head to head with smart speakers, Google Home Mini is still in the running for performing well. It’s direct counterpart, the Echo Dot, is the underdog when it comes to superior audio performance. Take note that the Google Home Mini isn’t built for feeding your audiophile goals. Don’t worry because you may still achieve a better audio experience once you connect this model to Chromecast devices. Enjoy your favorite mix through your TV or bigger speakers with the liberty of speaking to your Google Home Mini. Make big way for the grandiose of Google Home Max. Expect impressive sound quality once you use it to play your type of mix. Fill your big living room with the supreme sounding smart speaker. 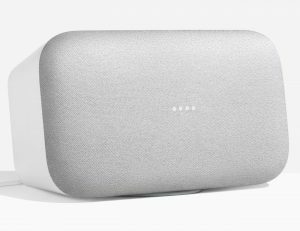 One Google Home Max may perform as good as two Sonos Ones when playing music. Place your bets well. 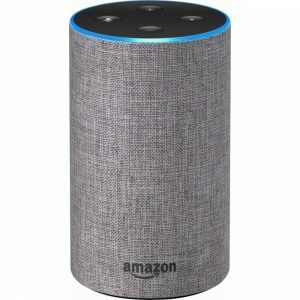 Good news for those who own an Echo Dot. This smart speaker can work well as a great sounding portable speaker once you slip the Dot into the Vaux. How does it work? The Vaux has a battery that can power the Dot for approximately 6 hours. Enjoy loud and crisp treble with the duo’s audio performance. Fabriq also has a good reputation when it comes producing good smart speakers. You may choose from a variety of colorful skins. When it comes to its audio performance, good bass for such a small speaker is plausible. The game of wireless smart speakers can be tricky. The audio quality, the design, the price and the kind of AI are all important aspects to consider. 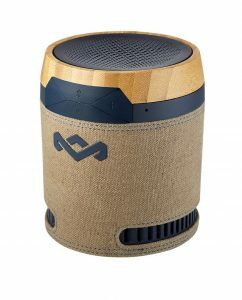 If you need a smart speaker that can accompany you on your outdoor agenda, consider the more portable options. The key to choosing the best brand and model is to know where and how you’ll be using it. Smart speakers are designed to make some tasks easier for you to do. 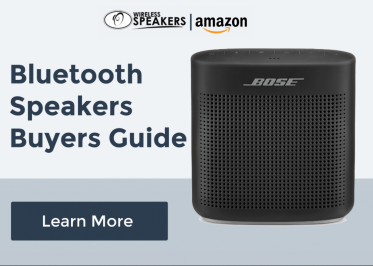 Choose among best wireless smart speakers listed above and see for yourself. No matter how and where you want to use your wireless speaker, you’ll need one to hype up your music experience. 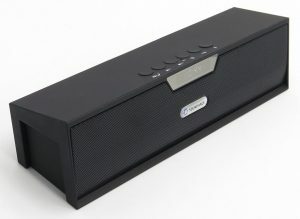 Cambridge SoundWorks designed a wireless speaker that delivers excellent performance and quality. The OontZ Angle 3 Plus Bluetooth speaker will rock your music soul. The Cambridge SoundWorks OontZ Angle 3 Plus Bluetooth speaker has a minuscule and lightweight build. You can conveniently carry it anywhere with such ease. It has an elongated and triangular design. This design collaborates with sleek curves and angles. It has no corners. You can choose to use it lying down or standing. There are three buttons intelligibly placed on the front panel for managing volume and tracks. The OontZ Angle 3 Plus Bluetooth speaker is a wireless speaker that can survive through the different weather. It’s rainproof, splashproof and dustproof. You can confidently bring it to the beach since it has an IPX5 certification rating. But don’t submerge it in the water, it can only take splashes. Get this minuscule and lightweight build speakers with remarkable battery life. The incredible and loud audio it delivers is powered by the dual precision drivers, passive bass radiators, and a 10-watt output power. You can play it to the maximum volume level without distortion. The bass is enhanced but doesn’t overpower the rest of the audio details. With its advanced Bluetooth technology, quickly pair Bluetooth-enabled audio sources without a sweat. The maximum Bluetooth distance is 30 feet away from the sound source, without obstruction. You can also stream music through 3.5mm audio cable. A built-in microphone is available to pick up calls while streaming on Bluetooth with your smartphone. Armed with a 4400 mAh rechargeable battery, the Cambridge SoundWorks OontZ Angle 3 Plus Bluetooth speaker can play continuous music up to 30 hours at the moderate volume level. The package includes a -inch micro USB charging cable and a 3.5mm audio cable. If we want something cheaper that meets our needs, the OontZ Angle 3 Plus Bluetooth speaker is astonishingly valued cheaper than $50. It’ll give you more than what you ask for in a wireless speaker. Enjoy and host outdoor parties in your backyard with this wireless speaker! 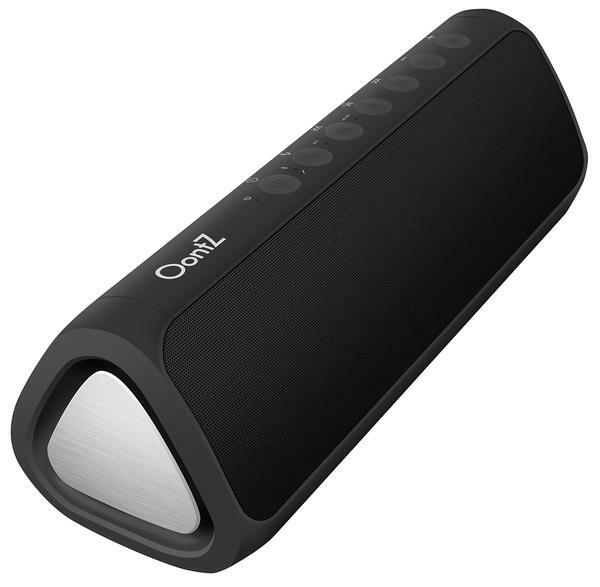 I love the Oontz Angle 3 wireless speaker as a whole. But my favorite feature is the weatherproof feature. It’s safe from splashes and dust. You can bring it anywhere on any season. Plus, the battery life is incredibly long-lasting. 30 hours is more than a day! Putting your smartphone on your ear when answering calls can be a bit bothersome. The feeling may be the same when using a headset for voice calls. When it comes to group or conference calls, you won’t be impressed by the audio quality it’ll produce even on speaker mode. Even telephones aren’t loud enough for conference calls. It’ll be funny to see the team compressing themselves just to hear what the person on the other line is saying. Why won’t you try using wireless speakers with built-in microphones? It’s 2017, and there’s a wide array of wireless speakers with built-in microphone in the market that’ll solve this audio problem. Also, if you want a better listening experience, wireless Bluetooth speakers can give your favorite tunes justice. Check our picks for the top five wireless Bluetooth speakers with built-in microphones of 2017. 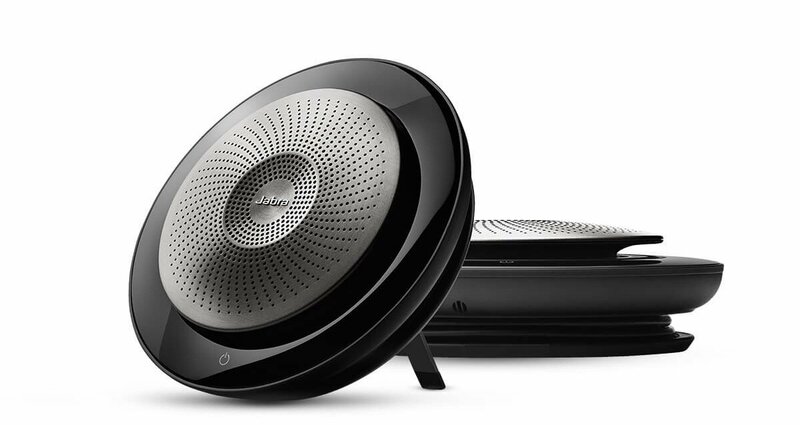 Jabra has recently released an addition to their wireless speaker line up. The Jabra Speak 710 is an upgrade of its predecessor, the Speak 510. This wireless speaker delivers premium sound quality even with its portable ‘diaphragm’ design. The Jabra Speak 710 has a superb clarity and hassle-free setup when it comes to managing calls and audio. 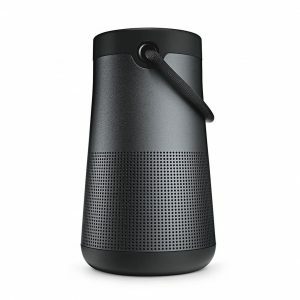 This wireless speaker boasts a powerful omnidirectional microphone that works intelligently to pick up each person’s voice. And because of its Bluetooth version 4.2 connectivity, this speaker can pick up voice commands seamlessly as far as 100 feet (30m). With 15 hours of battery life and HiFi grade audio quality, you’ll be assured of smooth, clear conversations and astounding music experience. Bose isn’t behind the race when it comes to omnidirectional sound. The SoundLink Revolve+ is a revolutionary wireless speaker with a bigger, louder, and has an incredible battery life. 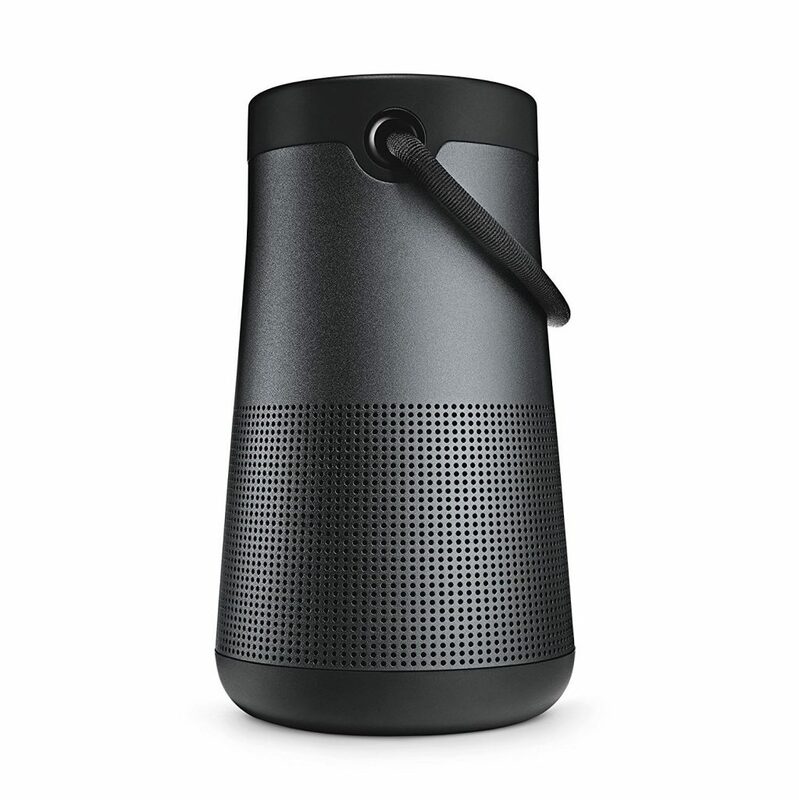 At first glance, this wireless speaker looks like a thermos jug with its shape and ribbed carry handle. The speaker’s design has a tapered top with a perforated lower half aluminum enclosure. 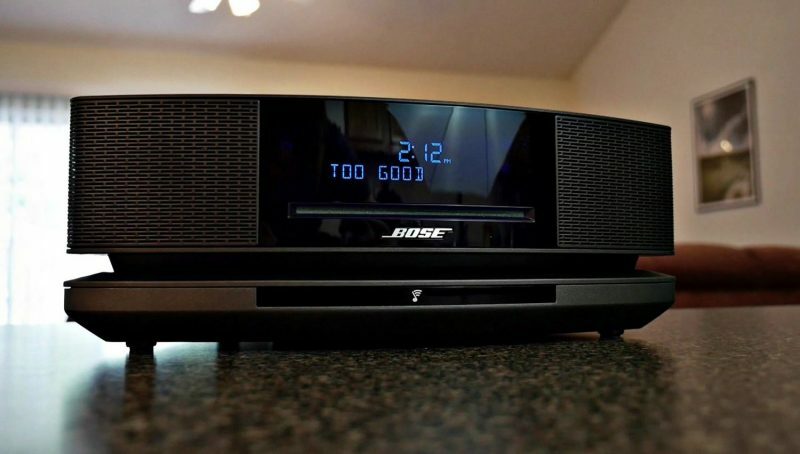 The Bose SoundLink Revolve+ is one of the most sophisticated wireless Bluetooth speakers on the market. 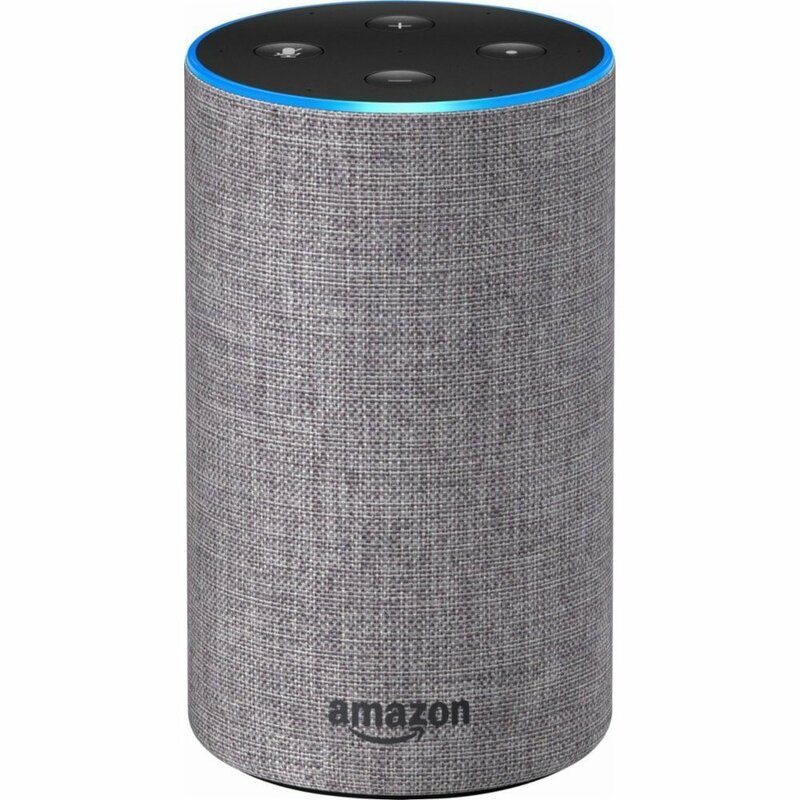 It works as a smart speaker and is compatible with voice assistants like Siri and Google Assistant. The wireless speaker’s amazing True360 sound, Bluetooth v4.2 with NFC, and full-range drivers are powerful enough to give superb sound quality with its size and portability. The SoundLink Revolve+ may not be a bang for your buck. But if you’re particular about audio quality and performance, the Bose SoundLink Revolve+ can satisfy an audiophile’s taste. While the above-mentioned wireless speakers have a hefty price tag, the Anker Soundcore 2 will give you a decent audio performance that’s a bang for your buck. The Anker Soundcore 2 exudes impressive features and satisfying sound quality that’s more than what you can expect for a budget speaker. This wireless speaker with a rubberized enclosure is portable, water resistant, and has a built-in microphone for hands-free calls. This wireless speaker may not impress you with louder sound outdoors. But the SoundCore 2 delivers decent sound that has minimal distortion at maximum volume level. Don’t worry about running out of battery! Its incredible 24-hours battery life will put you in an optimal music experience. Known for their fashionable and earthly designs, the House of Marley offers you a compact wireless speaker with decent sound quality. Its bamboo trim top and denim fabric enclosure fit right to anybody’s fashion. This little wireless speaker delivers a decent bass and crisp, clear sound at moderate volumes. It has an integrated microphone that allows you to enjoy hands-free voice calls. The Chant BT’s 8-hour battery life will also put you in an immersive music entertainment the entire day. 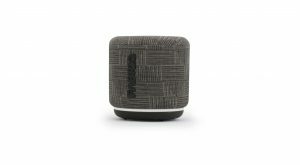 If you’re looking for a fashionably unique, portable wireless speaker with personality, check out the House of Marley Chant BT. 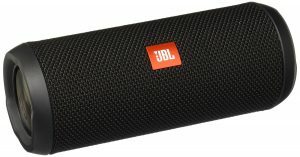 A cylindrical, splash proof and portable wireless speaker with a modest price, that’s the JBL Flip 3. 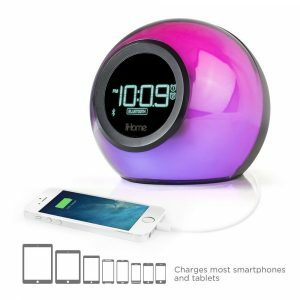 This awesome compact speaker boasts its ability to connect with up to three smartphones or tablets for a wholesome musical enjoyment. The JBL Flip 3 has two powerful bass ports on each side of its body. Its four control buttons are located at the back of the speaker to give the speaker’s front a neat and clean view. If you want a total wireless freedom even with voice calls, the JBL Flip 3 won’t put you down. Take crystal clear voice calls from the JBL Flip 3 with the touch of the phone button at the back of the speaker. This speaker has a noise and echo-canceling feature that won’t hassle you with your conversations. If you need a wireless speaker that’s affordable and packed with impressive features, the Flip 3 may be a good pick for you. There goes our list of the top five wireless Bluetooth speakers with built-in microphone of 2017. If you want listening experience at its best, pair up your smartphones or audio devices with these awesome wireless speakers. Do you have your own list of the latest impressive wireless speakers with built-in microphone features in mind? Share it with us! Wireless speakers are one of the most useful technologies created as to date. They remove the hassle of cumbersome wires. These speakers add more entertainment sense and ease in accessibility. 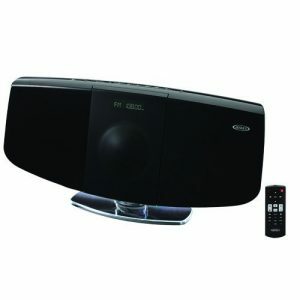 What else can add to the comfort and convenience a wireless speaker can give? Well, how about a remote to control your wireless speaker? Interesting, right? So, here are our picks of the best wireless speakers that come with remote controls. MEGACRA S7020 connect to any device using an audio jack or through a Bluetooth. This wireless speaker has both a wired and wireless capability. You can connect to any device using an audio jack or through a Bluetooth device. The MEGACRA Sound Bar has 4 high-quality speakers and two bass reflex tubes. 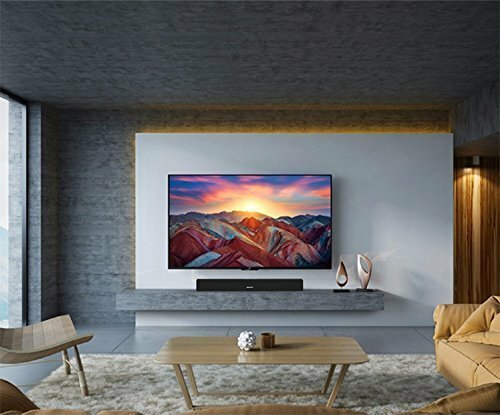 These powerful features deliver incredible room-filling sound for all your movies, television shows, video games, and music. 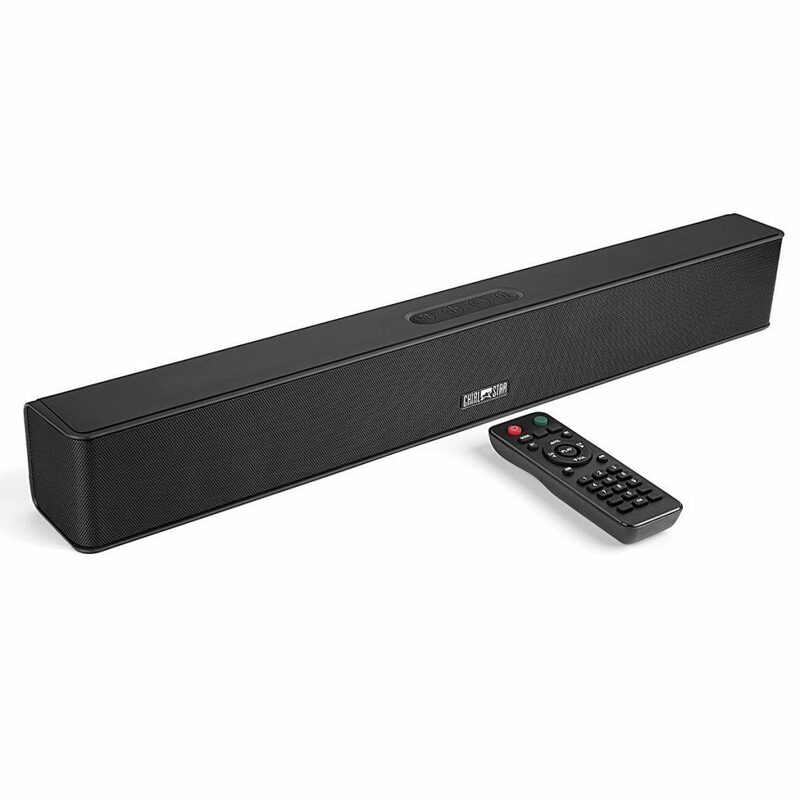 The MEGACRA S7020 Sound Bar is equipped with DSP Technology. This means that this speaker has fantastic clarity and precision that brings you an upgrading experience. Plus, the wireless speaker’s remote control offers extra convenience. The Chialstar Soundbar has a built-in subwoofer for high-quality sound. 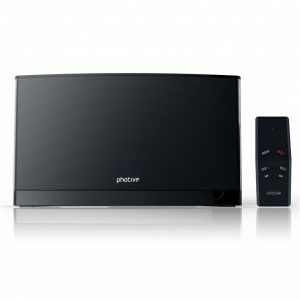 This wireless speaker is also equipped with Bluetooth 4.1 stereo music, 4x6W speakers, and two passive radiators. 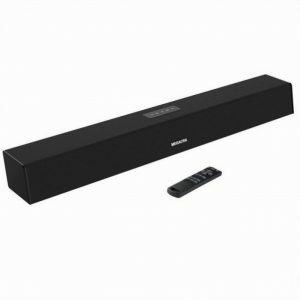 The Chialstar Soundbar can play up to 10-12 hours after 4 hours of full battery. This incredible wireless speaker also works as a power bank to charge your phone. 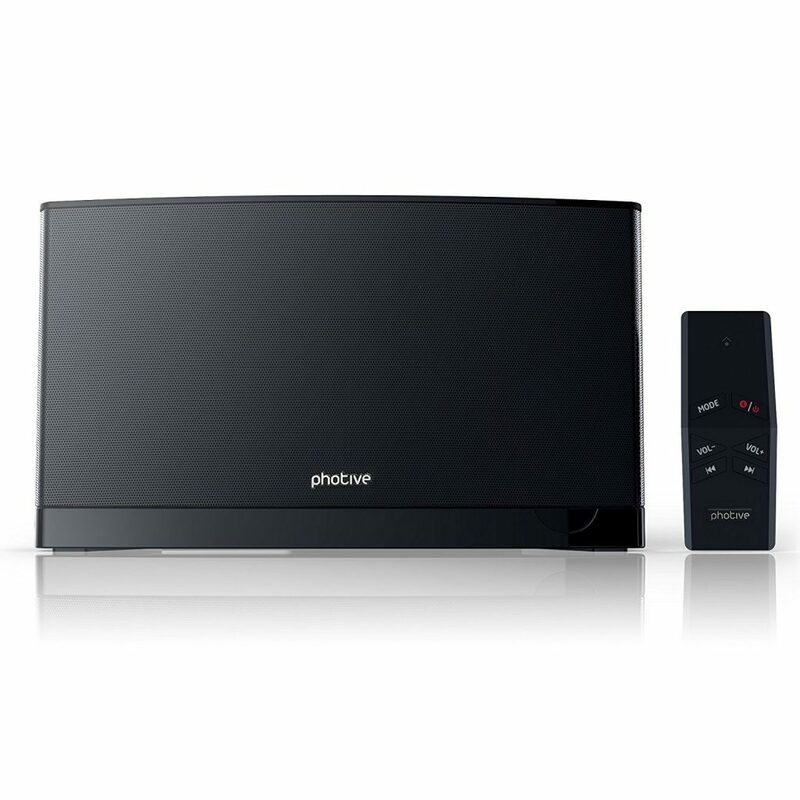 The Photive DK-1 is a Bluetooth speaker packed with two 25-Watt subwoofers for a bass-rich, pulsating sound quality. This speaker’s sound production is crystal clear across high and low frequencies. The Photive DK-1 has an advanced Bluetooth 4.0 Wireless technology. Wireless sound transmission can reach a 33-foot reach. Plus, it comes with a remote control that you can use to control your music tracks and volume from afar. 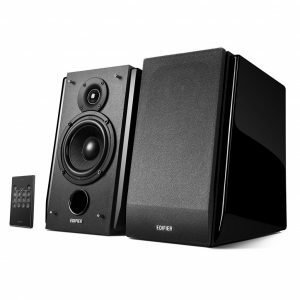 For those who aren’t a fan of portable speakers, the Edifier R1850DB is the one for you. This speaker has an RCA/Aux for PC, turntables, other compatible devices. It also has a Bluetooth v4.0 technology for a seamless wireless connectivity. The Edifier R1850DB also has a built-in rear panel where you can adjust the bass, treble, volume and toggle inputs. You can also add another subwoofer if you feel like you aren’t getting enough sound. This bookshelf speaker comes in with a compact remote control for input selection, volume adjustment, and track control. So these are the best wireless speakers that come with remote controls. Do you think we missed a spot? Tell us more in the comments section. It’s 2017, and the virtual world can’t stop getting too real. If you’re an audiophile, non-stop audio streaming via smart speakers might be the best news you’ve encountered. But to others who value affinity and simplicity, they opt for other minimal options. Talk about CDs and the feels of hoarding songs of your favorite artists in a box. If you belong to the minority who prefers the tangible aspect of your music collection, our tally of the top 5 Bluetooth Wireless Speakers with CD functionality is for you! This wireless speaker has a vertical-loading CD player. It can play CD, CD-R/RW with programmable disc playback. But there’s more! The iLive iHB603B allows various options for your listening experience. It comes with Bluetooth technology and grants seamless connection with your Bluetooth-enabled devices. For non-Bluetooth-enabled devices, an audio line input is available. Also, you have the choice of FM radio listening with its built-in antennas. It has Dynamic Bass Boost System (DBBS) and 2-channel stereo system. These qualities allow you to enjoy great sound in your home. This portable boombox allows wireless streaming for Apple and Android devices. This speaker can function as a PA system and amplifier. It has 6.3mm connectors for guitars and microphones. Also, it has two passive speakers that increase the bass sound effect. The Toshiba TY-CWU500 can also maximize your listening experience with its EQ function. Its EQ Function works as a filter that allows you to adjust frequency within an audio signal. 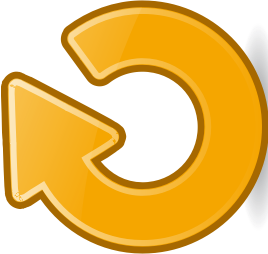 Now, you can modify your favorite rock, jazz, classical or pop music according to how you like it. Its player supports CD-R/RW, CD and MP3 formats and allows MP3 playback from USB memory sticks. Like the first Bluetooth speaker of this list, the Toshiba TY-CWU500 also allows AM/FM radio listening. 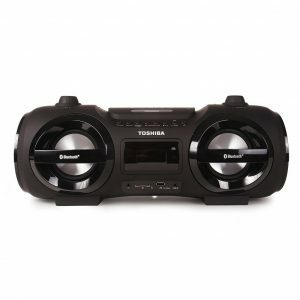 Its Bluetooth capability allows you to stream wireless music, podcasts and internet radio. This modern wireless speaker is a blast from the past! Take out your Beatles’ Revolver! This speaker doesn’t only play your hoarded CDs of your favorite artists, but it also allows you to listen to your favorite vinyl records. Yes, you’ve read it right. Vinyl records at this day and age. This speaker can also let you record directly from CD, Vinyl, and cassette straight to your USB. There’s no computer needed! This wireless speaker displays a nostalgic design. It comes in Black, White, Espresso, Oak, and Mahogany. It’s made with a gorgeous real wood material.It’s ideal for people who value the original quality of vinyl and enjoy the advanced audio performance. 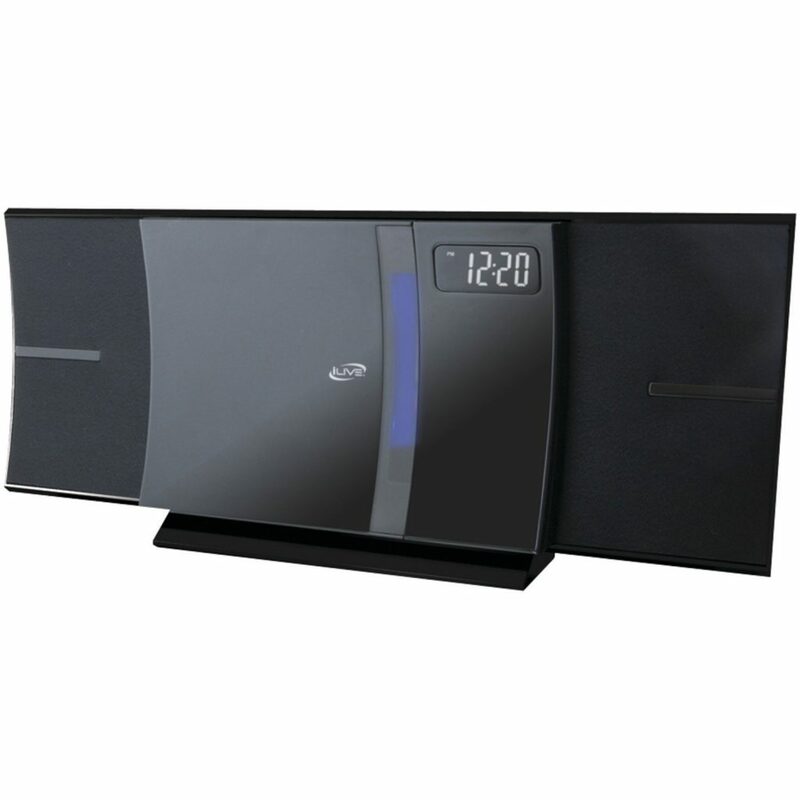 Your counter or shelf doesn’t have to make way for this wireless speaker! It can manage to function by the wall. Imagine how sleek this wall-mountable music stereo system can be. It’s perfect for your kitchen, bedroom or living room! 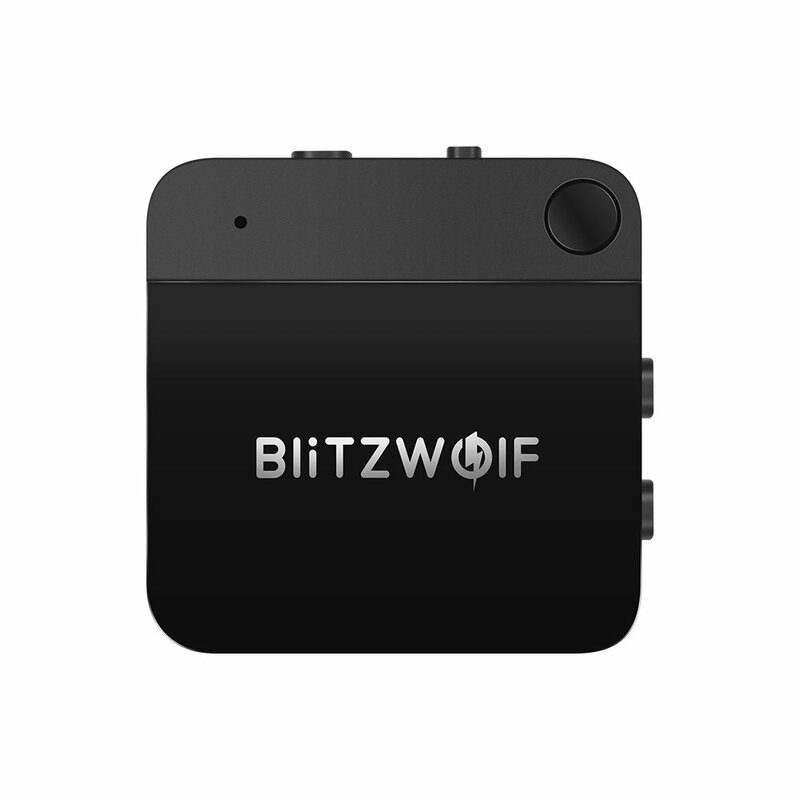 Its Bluetooth connectivity with Near-Field Communication (NFC) which allows your devices an easy pairing. It also has a USB port for your audio files stored in flash disks. Its front-loading CD player allows standard CDs as well as MP3 CDs made on your personal computer. It’s retro, but it’s new! We can’t get enough of rehashed ideas. And it’s not a bad thing. 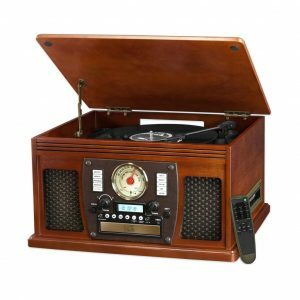 The Classic Retro Speaker comes with a built-in CD player and a remote control. It allows easy adjustments with the Bass and the Treble. It also allows radio listening with 20 presets. But if it’s not your thing, you can play music straight from your Bluetooth-enabled devices. If your device doesn’t go with Bluetooth, you can still enjoy your music via a 3.5mm aux-in cable. It’s not retro if it looks too modern. So, here comes this Bluetooth speaker with its dual Volume Unit (VU) meters for a classic feel. But no worries! 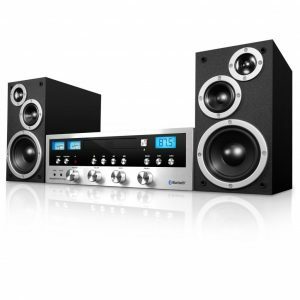 It sounds advanced as it allows 50 watts of stereo sound. Put on your favorite jam and let the music slam! To elevate the retro feels, you can add a turntable for your records. There’s an optional, three-speed turntable for your Classic Retro Speaker. This turntable has USB encoding feature that lets you convert your vinyl to MP3. It also comes with a USB cable and software that’s MAC and PC compatible. It sounds quite modern for a retro-looking speaker, right? Check out the detailed specs tally below and decide which Bluetooth Speaker with CD Player functionality goes best with you! What to know with Bogen SEC4T? Unlike most wireless speakers, the Bogen SEC4T compact ceiling speaker is one of a kind. This type of speaker is sophisticatedly designed to ensure quality sound and convenience. The wired speaker has a tedious set up which can be daunting in installation. A wireless speaker, in contrast, offers easy installation and DIY manuals. With that, below are the specifications of our featured wireless speaker for the day. Examine each one, let your heart decide. 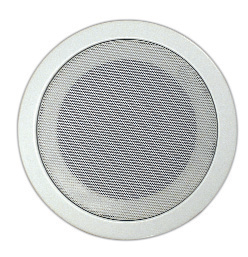 Bogen’s SEC4T Compact Ceiling Speaker is a speaker type installed in ceilings. You can connect the speaker with only tools like the cut mounting hole. No extra tool is needed for wiring and securing the speakers. This speaker is designed to make music accessible in all areas of the home or building. Unlike most wireless speakers, the Bogen SEC4T compact ceiling speaker is one of a kind. You can quickly connect by selecting the power tap needed and winding wires with the wire nuts. After assembling the speakers, it can be installed swiftly into the ceiling tile. Putting the speakers this way, secure the speakers from falling as the spring loaded locks automatically to the roof tile. The Bogen SEC4T compact ceiling speaker has a 4-watt capacity. This feature makes the wireless speaker ideal for wireless connection. It has an incredible 4” wide range that produces clean and clear sound. 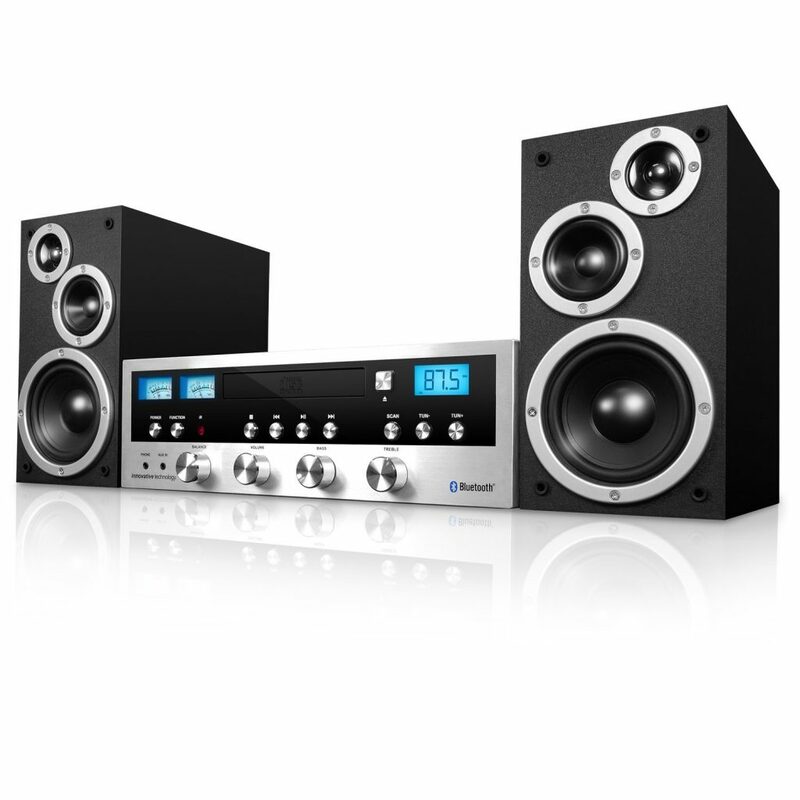 Bogen’s SEC4T also comes in 4, 2, 1, 1/2, 1/4, 1/8 Watt power taps, which you can rarely find in most wireless speakers. It has a 4w transformer that is perfect to cater its wattage capacity. The speaker is sturdy with spring-loaded clamps for easy and secure installation. You can install it in ceilings up to 1-1/4 thick which is general cap measures. The Bogen SEC4T wire connection is direct from the transformer, no need to detach it from the network. Its speaker also works in both 70V and 25V amplifier outputs so ideally safe from short circuit. For protection, the speaker is made of metal mesh that prevents debris from the ceiling. Users don’t need rocket science to configure setting for it has clear marking for the connection points. Additionally, the wireless speaker comes with optional accessories. What I liked about this speaker is that it can be easily installed in ceilings. One of the few speakers that feature a 4” wide range for excellent sound quality. It has a metal mesh protects that prevents ingress of debris from the ceiling behind speaker cone. They have designed the Gracety Ultra Portable Wireless Bluetooth Speakers V4.0 not only for outdoor use but also for bathroom use. You can bring this portable speaker anywhere, whether trekking to the mountains or going to take a shower. Bring it to the beach without bothering about it getting wet. The Gracety Ultra Portable Wireless Bluetooth Speakers V4.0 is waterproof. Though cheap, this wireless speaker is made to last, since they have done it to resist water. It’s waterproof due to its fully-sealed design. It has an IP67 rating for its waterproof design. This wireless speaker can float. It’s excellent to use in pools, beaches, baths, and boats. Can’t it get any better? You can float on water while listening to music all day and night. Swim all you can, and you’d be sure that your music is just with you all the time. 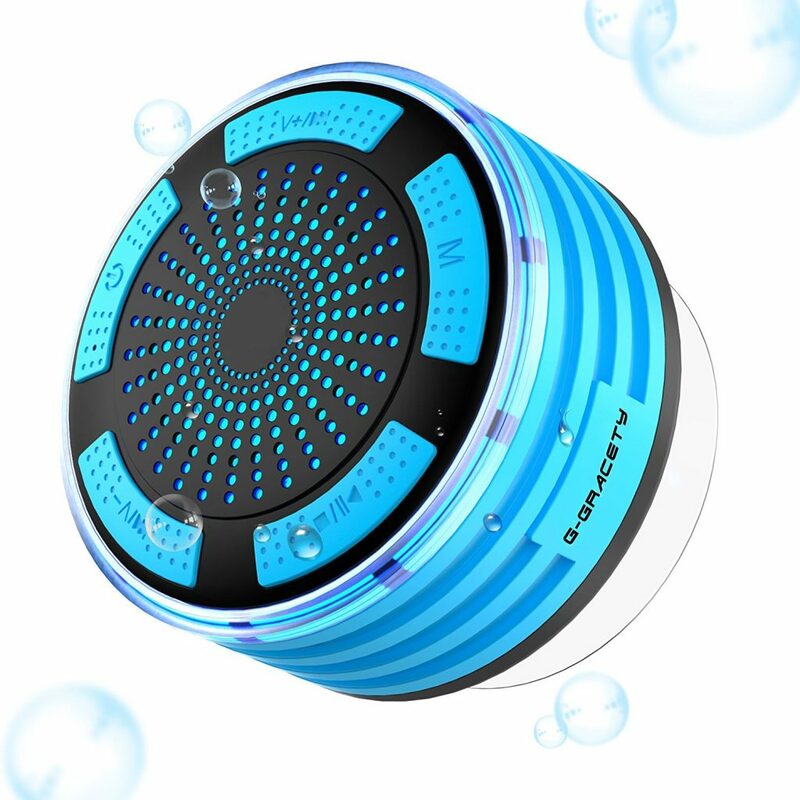 They have designed this waterproof wireless bluetooth speakers not only for outdoor use but also for bathroom use. It’s also resistant to damage. Don’t worry if you’ll accidentally drop it and expose it to dust. The soft ABS cover assures you that it’s shock resistant and dust proof. Durability doesn’t need to be expensive. They designed it with 360 degrees surround sound that’s compatible with every Bluetooth enabled device. You can even pair it up with your Apple products such as your iPhone, iPod, and iPad. It’s even compatible with the Amazon Echo. And it can easily connect within 3 seconds of pairing it up. 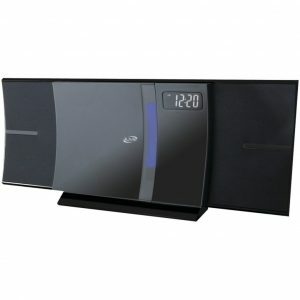 You can also listen to its digital FM radio incorporated in this wireless speaker. You can even use the Gracety Ultra Portable Wireless Bluetooth Speakers V4.0 as a speakerphone. Enjoy hands-free calls with this wireless speaker as it has a built-in microphone. It can function as an FM radio since it has an FM radio tuner with auto-scan presets. Listen to your favorite FM stations using this wireless speaker. So, if you want a wireless speaker that you can bring anywhere with you, get yourself a Gracety Ultra Portable Wireless Bluetooth speaker. It’s water, dust, and shock proof. You can enjoy the water and music without worrying! The decent sound that this wireless speaker produces is just lovable.This speaker is fairly loud for its size, and I’m amazed. To top it all, its price is incredibly a bargain. The MANHATTAN Sound Science Orbit Durable Wireless speaker is an astounding and feature-packed portable speaker that you can take anywhere you go. This speaker has a tough, rubberized enclosure to protect it from shocks, bumps, and falls. Its compact size fits easily into any bag. You won’t have to worry about carrying an extra load when you go places. Get carried away with your music with its two 40mm Neodymium drivers and its passive subwoofer. With its frequency response range of 150 – 18 000 Hz, you can be assured of an emphasized, booming bass with brilliant and crisp sound quality. Check out its four different tunes and experience its features. The MANHATTAN Sound Science Orbit Durable Wireless speaker is also a versatile speaker. You can listen to your favorite tunes four different ways. Connect with a Bluetooth-enabled audio source fast and easy using its Bluetooth v2.1 + EDR technology. This speaker has voice prompts for Bluetooth pairing and other alerts. Wireless transmission can go as far as 10 meters (30ft). This speaker supports A2DP, HSP, HFP, and AVRCP profiles. 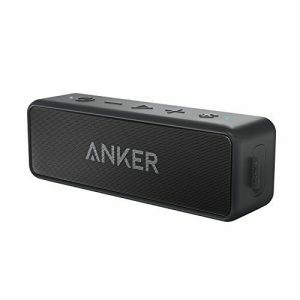 You can also use the speaker wirelessly by plugging in a microSD memory card. The speaker can read data up to 32GB. Another way of using the speaker wirelessly is through a USB flash drive. 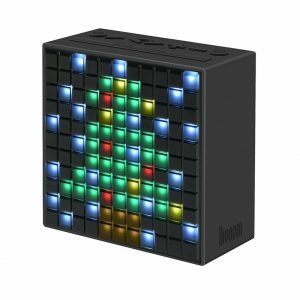 Simply plug the flash drive into its port at the back of the speaker and crank up the music with its built-in MP3 player. Now, you can rock on with your favorite tunes hassle-free, wirelessly! You can go old school and use a 3.5mm stereo cable (not included) for a wired connection with this awesome speaker. Play that funky music right boy! There’s also an integrated microphone in the speaker so you can answer calls without the need of lifting your mobile device. Simply press the answer/end call button on the top of the speaker. 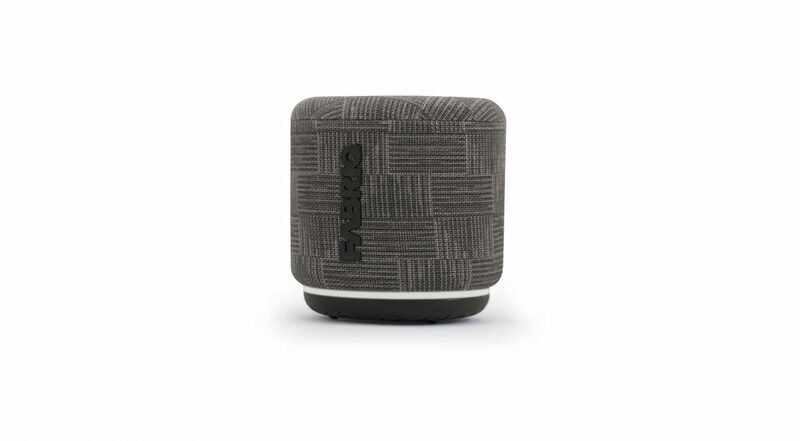 The MANHATTAN Sound Science Orbit Durable Wireless speaker uses a rechargeable 1200mAh Lithium-ion battery that can give you 4 – 6 hours of continuous playtime. What’s amazing with this speaker is that it works in standby mode for more than four days. You also won’t be disappointed with its fast-charging feature. Plug in a USB type-A to Micro charging cable to a power source, and you’ll get it well-charged in less than 2 hours! This speaker rocks for its compact size. I love the sturdy build and cool design. Be it wired or wireless playing, its sound quality is incredible. Bluetooth pairing and overall usage of this speaker is fast and super easy!